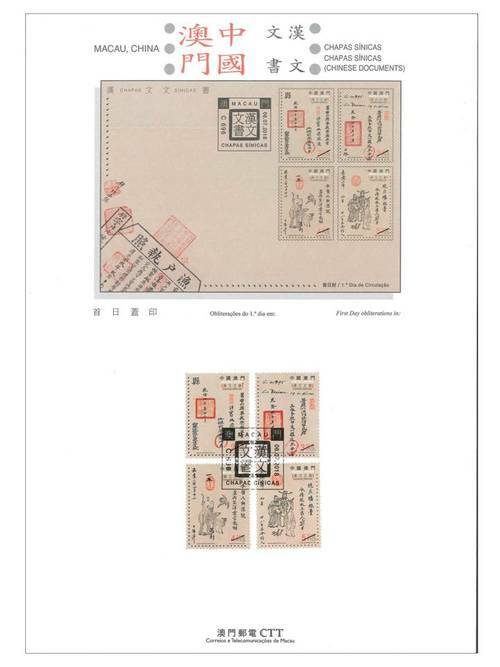 Stamp Issue "Chapas Sínicas (Chinese Documents)"
Chapas Sínicas, which can provide a rich resource for the study of Macao’s history and culture, is a precious cultural heritage of the world. 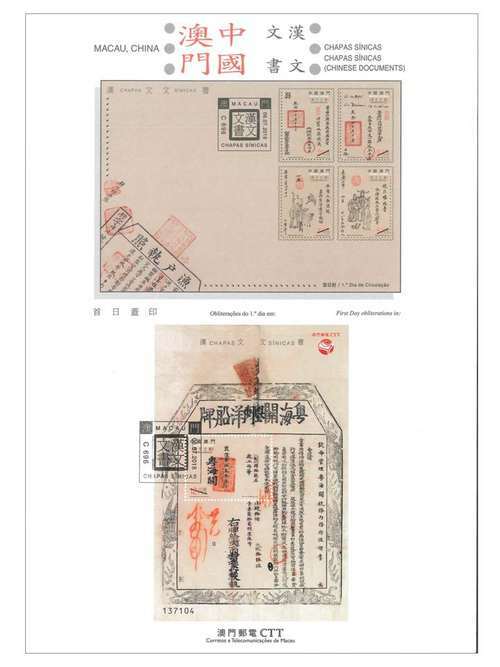 Jointly nominated by the National Archive of Torre do Tombo of Portugal and the Archives of Macao, “Official Records of Macao During the Qing Dynasty (1693-1886)” has been inscribed by the United Nations Organization for Education, Science and Culture (UNESCO) onto the Memory of the World Register on 30th October, 2017. 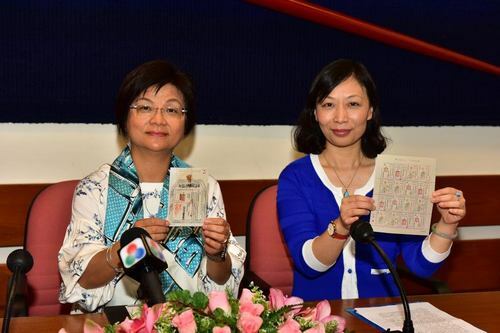 To mark this significant event, Macao Post and Telecommunications Bureau will issue the stamp theme “Chapas Sínicas (Chinese Documents)” on 6th July, 2018. 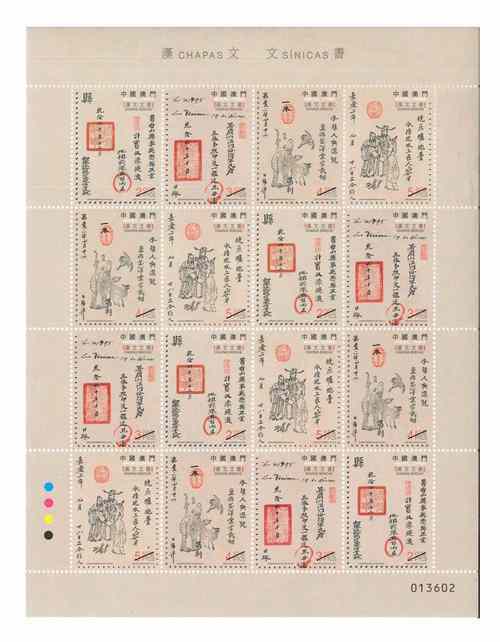 This issue includes a set of four stamps and one souvenir sheet, mainly portray the official records of Macao during the Qing Dynasty. 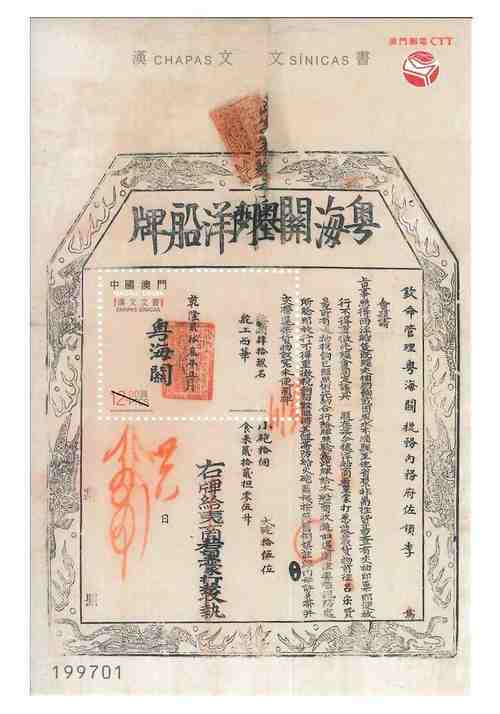 “Chapas Sínicas” is a collection of records of Macao during the Qing Dynasty. Preserved in the National Archive of Torre do Tombo of Portugal, the collection comprises over 3,600 documents, including official letters written in Chinese, the Portuguese translated copies of the letters and other miscellaneous documents that were created mainly from the mid-eighteenth century to the mid-nineteenth century. 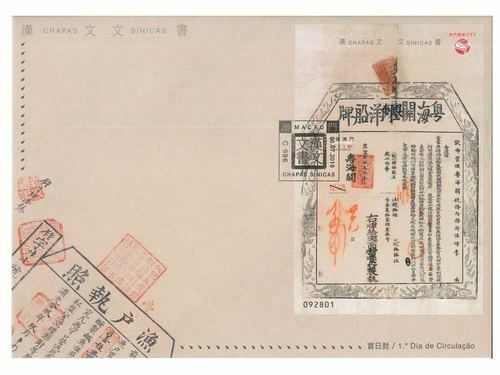 A major part of “Chapas Sínicas” are official correspondence exchanged between the Chinese authorities and the Portuguese authorities in Macao during the implementation of Chinese sovereignty over Macao. The records are reflections on the social conditions of the society, the people’s lives, urban development, trade and commerce, etc. 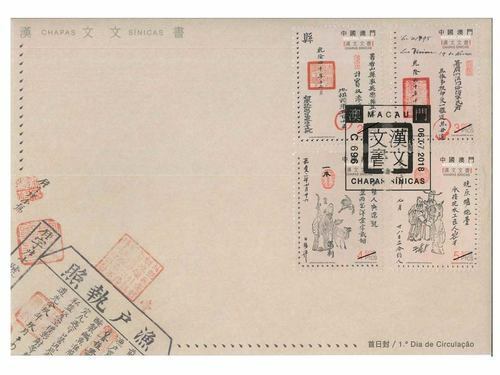 The text of the information brochure of this issue is written by the Archives of Macao of the Cultural Affairs Bureau of the Macao Special Administrative Region Government. 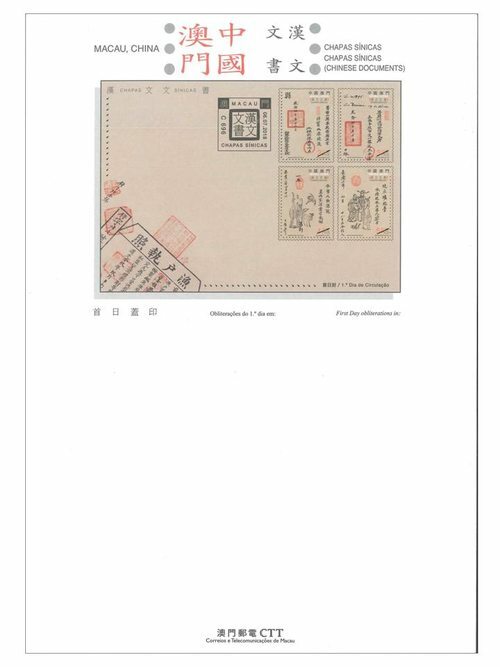 The stamp designer of ICM is Mr. Joaquim Cheong Kuok Wai. This is the sixth theme in 2018. 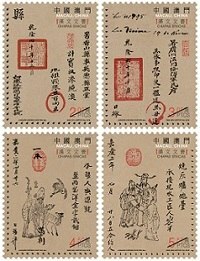 The previous issued stamps are “Lunar Year of the Dog” on 05/01/2018, the label stamp “Lunar Year of the Dog” on 31/01/2018, “Macao 2018 – 35th Asian International Stamp Exhibition (I)” on 01/03/2018, “Mainland Scenery VII” on 12/04/2018, “Classic Fables and Tales” on 30/05/2018, and “Joy” on 26/06/2018.